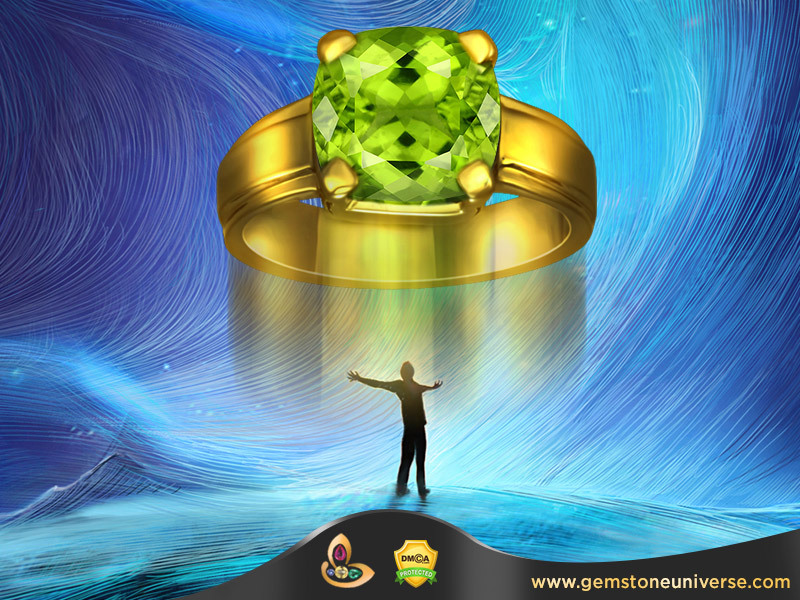 The Gemstone representing the positive powers of Venus as per Vedic Astrology is Diamond. The first preferred alternative to Diamond is White Sapphire followed by White Zircon Gemstone. Natural White Zircon is the most misunderstood gemstone and many even in the trade sell Tourmaline and American Diamonds as White Zircons. A major problem is that even Astrologers especially in the northeast of India call White Zircon as Vikrant Mani, however Vikrant Mani is Tourmaline and not White Zircon. We have observed that White Zircon is easily the best substitute for as a Venus Gemstone after Diamond and White Sapphire. 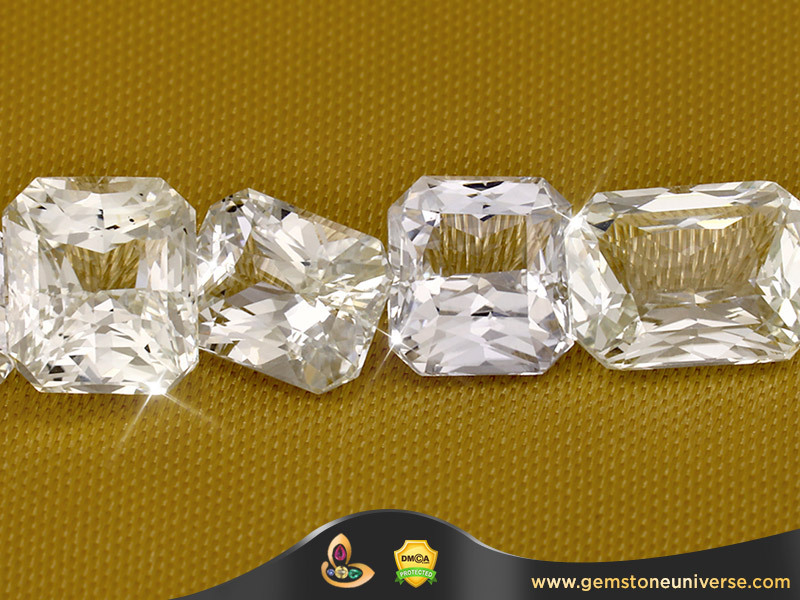 As a Uparatna we have seen that White Zircon gives the best results. – Just as Venus signifies luxury, beauty and wealth these have these essential qualities. – The Origin is Sri Lanka. – Top Colorless Zircons with no other hue or shade. – Exceptional 95% and above clarity. Rare for a Natural Gemstone. – Excellent cut that makes them glitter like Diamonds. – Free from any flaws as listed in the sacred texts. – Are full of Venus energies and shall deliver excellent results. Gemstone Certification and appraisal of these lots are complete and you can find them in the White Zircon online inventory in the next 3 days or earlier. 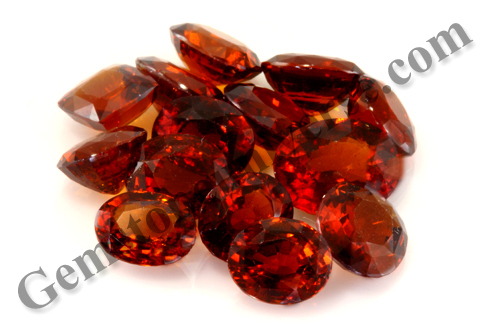 The Hessonite Gemstone is the Gemstone of the North Node also referred to as Rahu in Vedic Astrology. 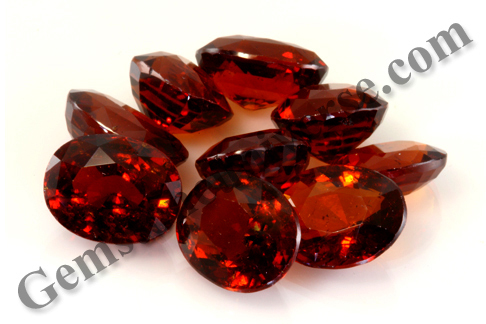 The Hessonite Garnet is also called as Gomedh/Gomedh in Sanskrit and is also referred to as the Rahu Ratna. Rahu is a karmic planet similar in results and effect to Shani and is the significator of strife for purification. Rahu Planetary periods and Rahu Dashas can be difficult for an individual unless one is well prepared as the start of this period causes disillusionment and disappointments. 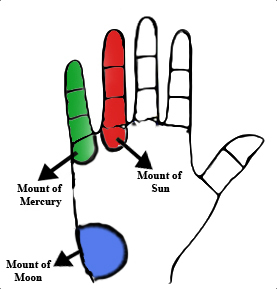 One should know how Rahu Periods Operate to be better equipped. Rahu is a very powerful influence especially in this yuga-Kaliyuga and if Rahu is well posited in one’s horoscope one can expect gain of wealth, power, recognition and influence. Ideally your Hessonite Gemstone ring/ pendant should have been consecrated and energized as per the full rites (Vedic Pooja of Gemstones) listed in the sacred texts. 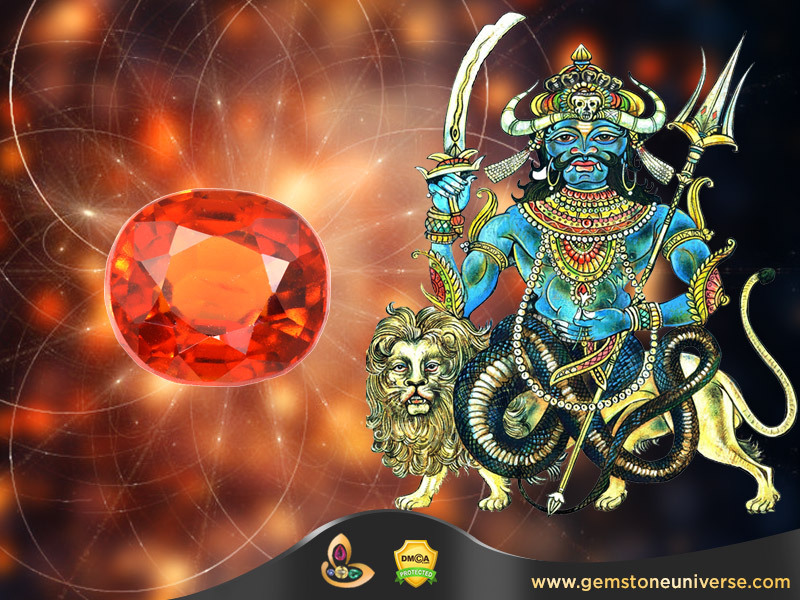 In cases, where a Vedic Consecration of the Hessonite Gemstone is not possible it is best to chant any of the following mantras for 11/108 times and pray to Lord Rahu before wearing your Hessonite ring / Hessonite Pendant. Do ensure that if you do intend to chant the mantras the pronunciation is correct to ensure that you have Error Free Gemstone Therapy. 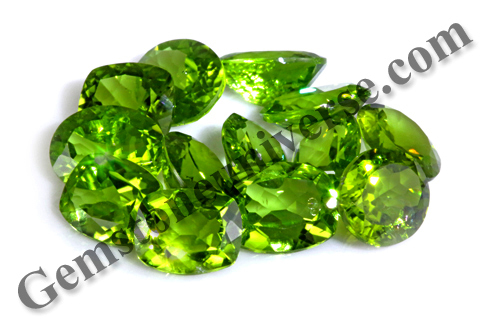 – From a Gemology Point of View these Hessonites belong to top Jewellery Grade Quality and are the most sough after quality. 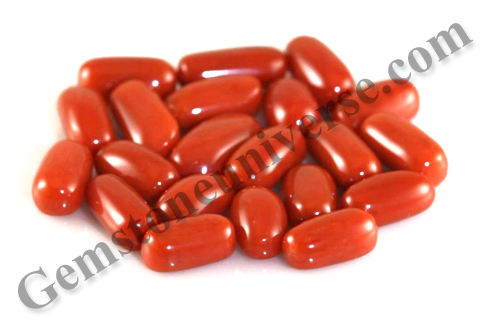 – Intense, Vibrant, Pleasing Deep Burnt Orange cinnamon color spread evenly through the crystal. Such is the intensity and brilliance of colour that when the hessonite crystal interacts with Sunlight it gives the roiling effect- As if liquid oil is moving inside the crystal. – Clarity is 95% and above which when combines with the colour as described above provides that miraculous classically beautiful look to the Hessonite. – Carat weight Ranges from 4-7 carats. – All natural, treatment free, earth mined Natural Hessonite from Sri Lanka. 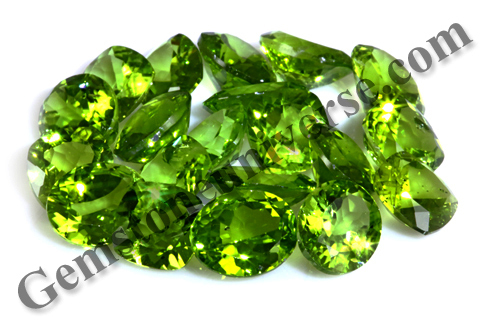 Hessonites do not in general go through heat treatment but most often commercially traded Hessonites go through radiation. These are certified natural Hessonites with no treatment. 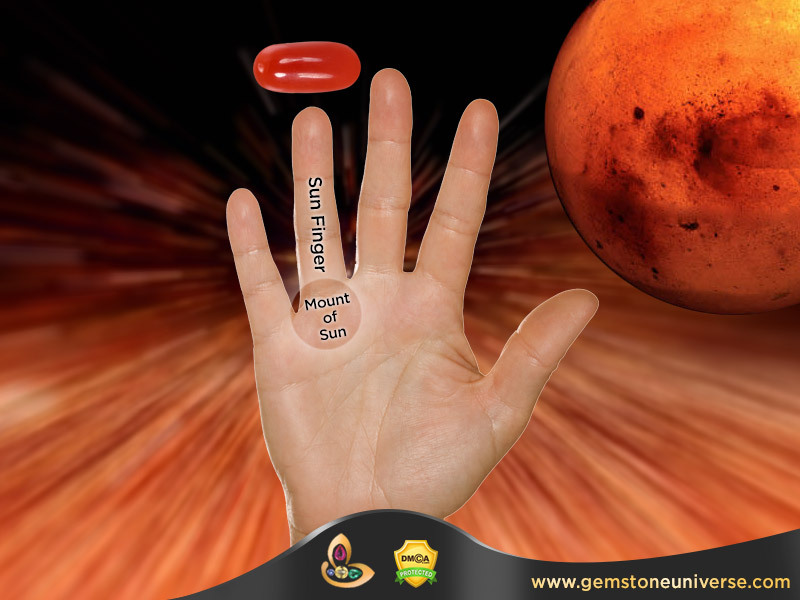 – Are True Jyotish Gemstones that shall deliver positive results for Lord Rahu. 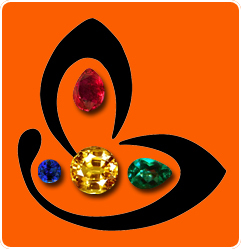 Your Gem therapy should be absolutely error free with no guess work as per the guidelines given in Do Gems Work– No They Don’t for 90% of the people- We ensure that. Gemstone Certification and appraisal of these lots are complete and you can find them in the Hessonite online inventory in the next 3 days or earlier. 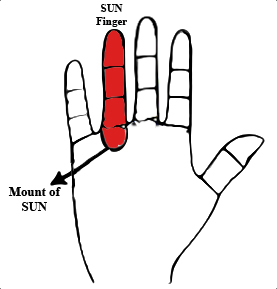 Makar sankranti is a festival celebrated widely across India as it marks the northern journey of Surya – the Sun. In astrological parlance it is known as the uttarayana which comes from the words uttara (North) and ayana (movement). 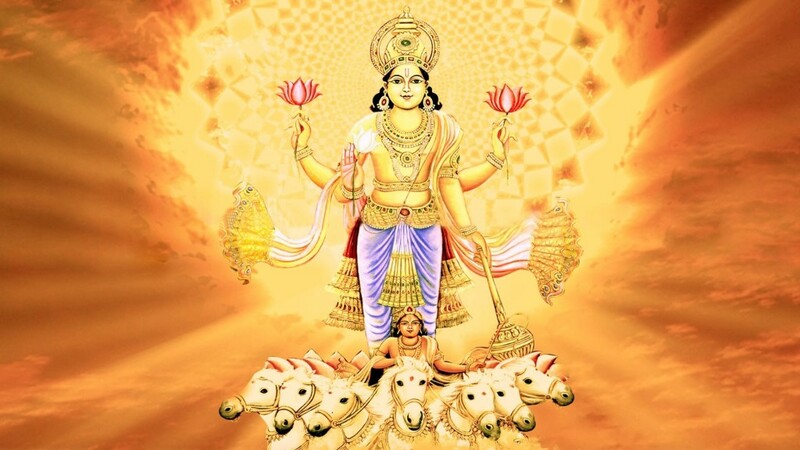 It is believed in the Hindu tradition that the from the day of the uttarayana when the Sun traverses into the sign of Makar(Capricorn) till the Karakayana, where it then moves into the sign of Cancer, marks a day for the Gods! The entire journey through dakshinayana or southward movement is a night for the Gods. It is also believed that the uttarayana is a time of the devataas (gods) and dakshinayana is a time for the pitrs (the departed ancestors). This is a highly auspicious time and emphasises the importance of Sun or Surya as the nourisher, the giver of light and one of the primary causal forces in the universe. Whether, it is sankranti, or pongal, or bihu or this auspicious transition by any other name you are celebrating today, we at Gemstoneuniverse wish you a prosperous and progressive time in your days ahead. May the sunshine of the Spirit clear away the cobwebs of despair and lack. May the resplendence of Sun uplift you into joy and harmony. Featured today is a fine ruby ring of 1.03 carats set in 22 karat gold as a sun talisman ring. The Oval shaped ruby is fully natural and treatment free gem straight from the gem mines of Mozambique. It’s deep Imperial Pigeon Blood Red Color is mesmerising and the clarity is simply amazing. 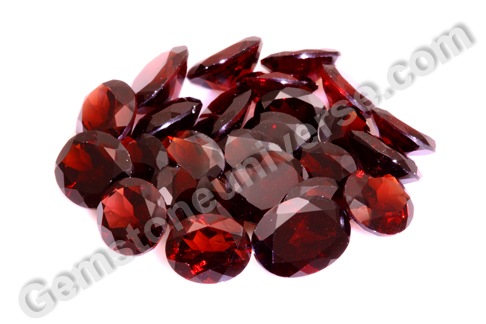 Natural ruby is the gemstone crystal embodying the Sun planetary energies. A talisman made of a natural ruby gemstone can bring several benefits associated with an astrologically we’ll placed Sun in an individual’s natal chart. It can bring special success to those in the political arena, working in the administrative capacities or in positions holding bureaucratic authority. 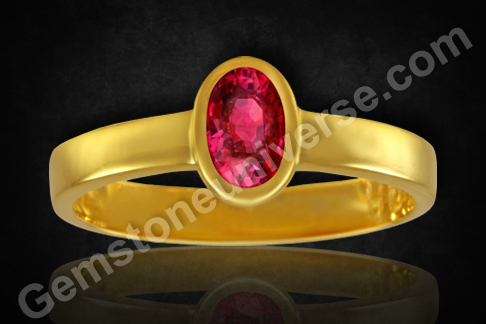 Ruby is a gem much loved by royalty for it is the gem of the king of the Zodiac – the Sun. Today Natural Ruby that is unheated and Gem Quality as per the Gemstone Pyramid is more expensive and rarer than Diamonds. Ruby’s market condition and Ruby Price may put this gemstone out of reach for some individuals. These individuals who are still desirous of reaping benefits of Gem Therapy should be looking at Red Garnet-The best superior alternative gemstone/ Uparatna to Ruby. Many Patrons have implemented their Planetary Gem Therapy with Red Garnet and finally graduated to wearing a Natural Ruby. Gemstone Certification and appraisal of these lots are complete and you can find them in red garnet online inventory in the next 3 days or earlier. The best finger for wearing the Blue Moonstone is the little finger of right hand. 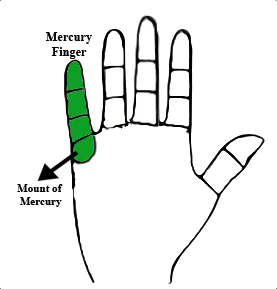 Even though this finger belongs to Mercury, the mount of moon is located below this finger just above the wrist. 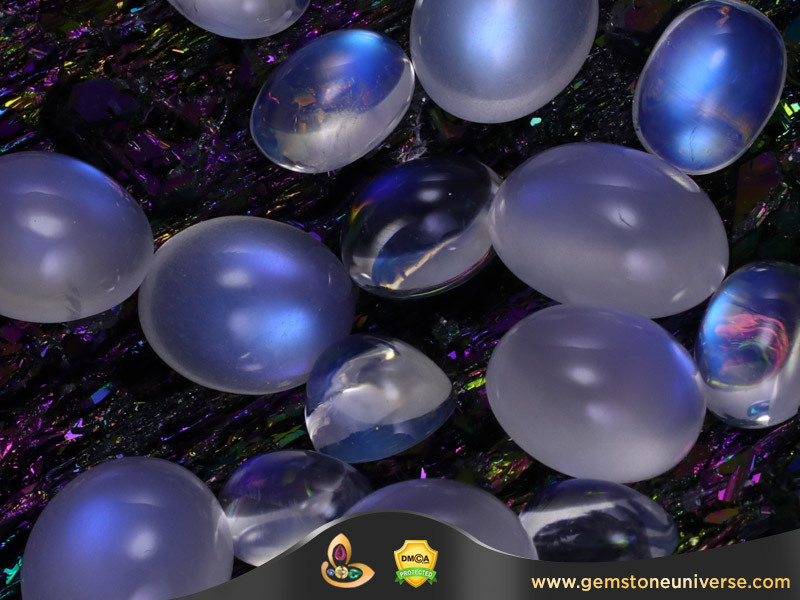 The Blue Moonstone also gives very good results in the ring finger of the right hand as this finger is ruled by its friend the Sun. 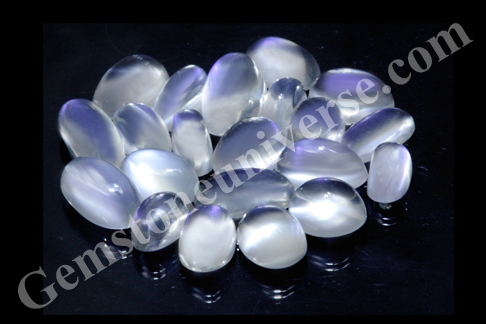 Gemstoneuniverse is pleased to present three new lots of Jyotish Quality Moonstones for Its patrons. 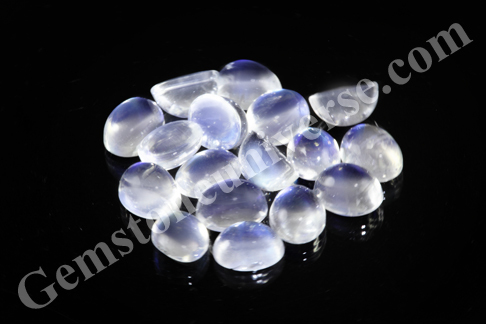 Today Natural Blue Moonstone that is Jyotish Quality is going the same way as Natural Yellow Topaz and radiation free Blue Moonstones are becoming rarer by the day. 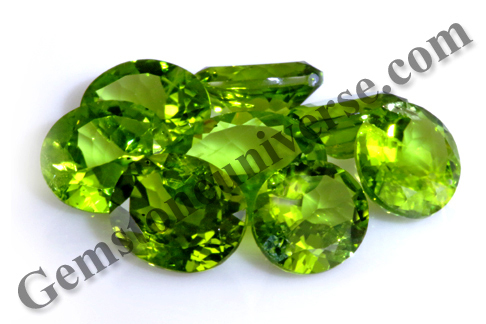 1) Are fully Natural earth mined Gemstones. 2) Are totally radiation free! 3) Have an exotic Blue Shimmer. 4) Full Bodied and have an intense calming effect. Just try touching one to your eyelid and you shall feel the instant calmness. Gemstone Certification and appraisal of these lots are complete and you can find them in the Blue Moonstone Online inventory in the next 3 days or earlier. 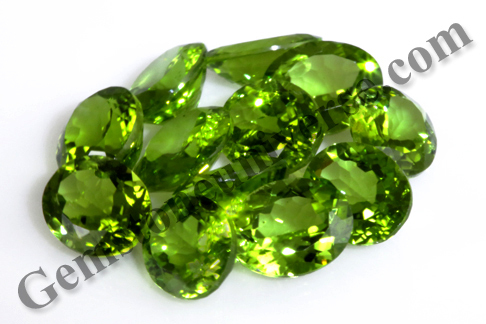 The Cat’s Eye Chrysoberyl Gemstone is the Gemstone of the South Node also referred to as Ketu in Vedic Astrology. The Cat’s Eye is also called as Vaidurya in Sanskrit and Lehsunia in Hindi. Ketu is a karmik planet and is the significator of moksha( Supreme bliss and freedom from the cycle of birth and death. Ideally your Cats Eye Gemstone ring/ pendant should have been consecrated and energized as per the full rites( Vedic Pooja of Gemstones) listed in the sacred texts. In cases, where a Vedic Consecration of the Cats Eye is not possible it is best to chant any of the following mantras for 11/108 times and pray to Lord Ketu before wearing your Cats Eye ring / Cats Eye Pendant. 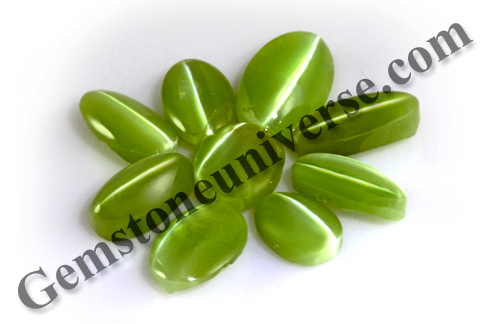 Gemstoneuniverse is pleased to offer its patrons new lot of Jyotish Gemstone Cats’ Eye Chrysoberyl. This Lot is aptly named as Atul. The Name Atul is derived from the Sanskrit word Atulya that means incomparable. Every Singular Cats eye is Natural, Untreated and Earth Mined with no radiation. Every Single Cats Eye is Free from Any of the flaws as listed in the sacred texts. Gemstone Certification and appraisal of these lots are complete and you can find them in the Cats Eye online inventory in the next 3 days or earlier. The single Gemstone among the Navratnas that evokes the most profound emotions and response is the Blue Sapphire/ Neelam. 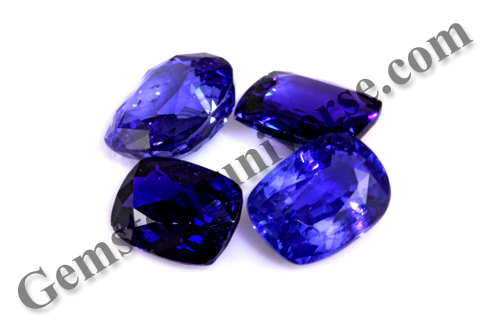 It is a well known fact that the Blue Sapphire is the fastest acting Gemstone. 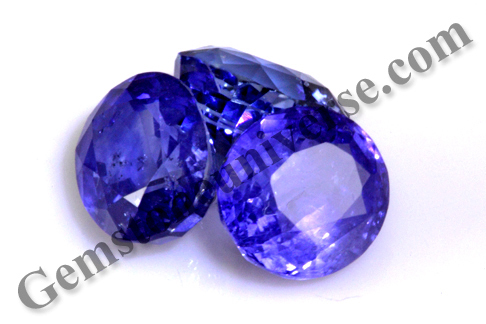 If indicated in the horoscope and recommended by an expert after detailed analysis of the horoscope one can expect very good results from the Blue Sapphire. 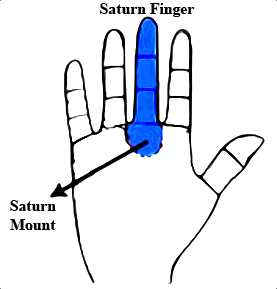 Ruled by the mighty Saturn/ Shani Dev the Blue Sapphire has the power to remove depression, lethargy, negativity and resolve long standing disputes. It makes the person wealthy, worthy, recognized and respected. Gemstoneuniverse is pleased to present 4 new lots of Blue Sapphires and each of them has a single outstanding feature besides several other features. At this juncture we would also like to convey that these have been cut from our own roughs so you can expect the best quality at an unmatched price. Most importantly besides anything else these are powerful Jyotish Gemstones capable of a life changing experience but should be worn only after a proper and detailed Gemstone consultation. What is the single outstanding feature of these lots of Blue Sapphires? 1) The First Lot on offer is named Sunil. 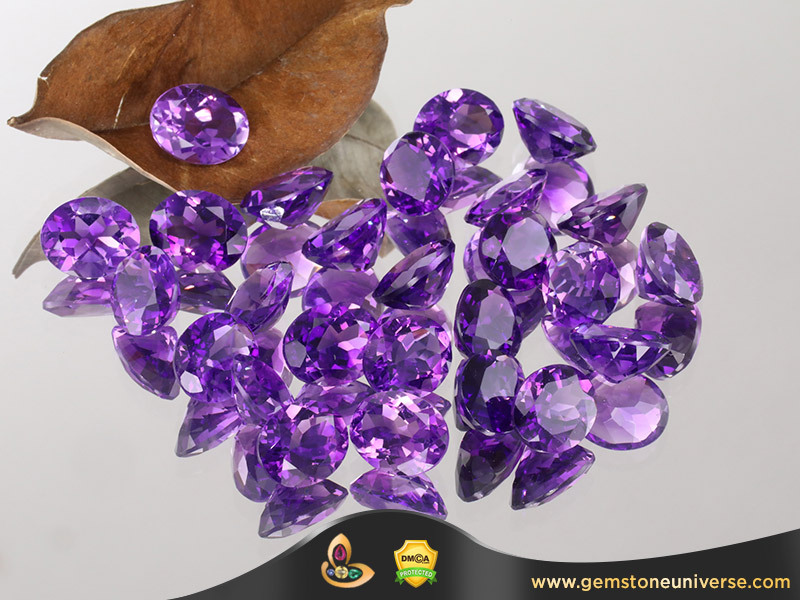 The outstanding feature of these Gemstones is that the origin is Burma– Yes Burma. All natural unheated Burmese Blue Sapphires today are very very rare and these are like a collectors item handed from one generation to another. Burmese Blue Sapphires are characterized particularly by their deep blue to midnight blue shade. Just 3 in number they shall go to the one destined for them. 2) The Second Lot on Offer is Named Dilip. 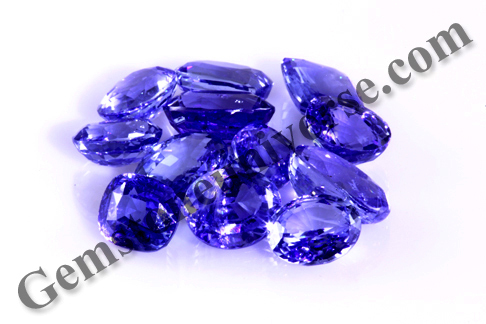 The Outstanding feature of these Gemstones is their deep Royal Blue Shade. This shade is very near to AIGS Type 2 shade and is the preferred color of choice of connoisseurs of Premium High Value Jewelry such as the Princess Diana engagement ring. It is rare to have such a deep color in a natural earth mined Gemstone with no enhancement. These are from Ceylon. 3) The Third Lot on offer is Yash. The outstanding feature of this lot is that it combines beautiful Blue Shades with hues of Electric Blue to deep Water Blue along with a magnificent lustre. 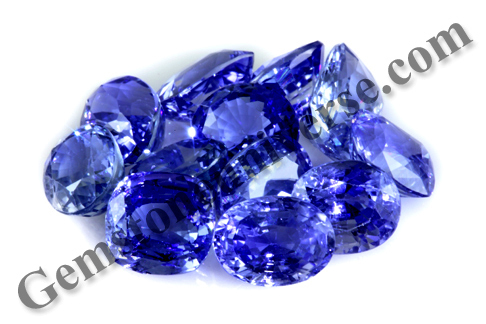 Premium Blue Sapphires from Ratnapura Srilanka they will make you fall in love with them. 4) The Fourth Gemstone Parcel on offer is named Kirti. All of these are 4C champions. The 4 C’s refer to cut, color, clarity and carat weight. Every Single Blue Sapphire in this Gem lot excels on the 4c’s at the same time to create a magical effect. They shall give powerful positive results for results for Lord Shani Dev. To really appreciate this combination of 4 C’s view the video of this Gemstone Parcel in HD and view how light is travelling through each of their perfect facets. This is what makes Jyotish Gemstones so special, so unique and so precious. 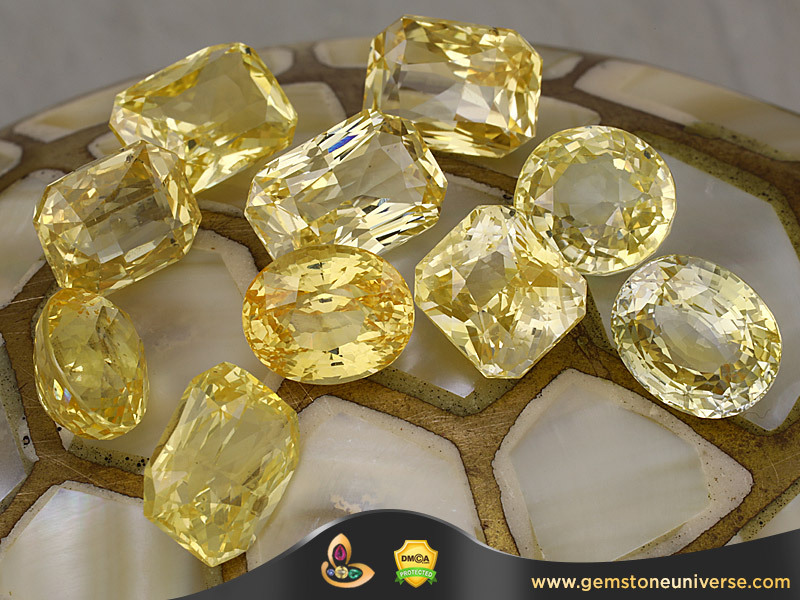 The Yellow Sapphire Gemstone is the Gemstone that represents that power of Jupiter also known as Brihaspati. 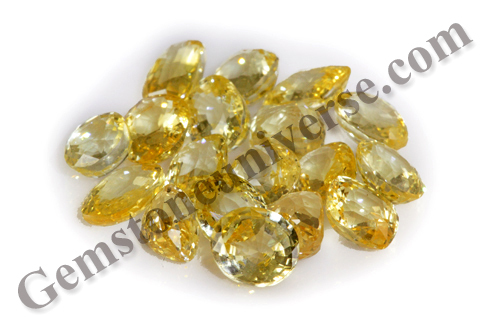 The Yellow Sapphire is also called as Pukhraj/ Peetmani/ Guru Ratna. Jupiter is the planet of good luck, education, auspicious wealth and happiness and if the yellow sapphire is suitable for your horoscope a good quality Jyotish Yellow Sapphire will bless one with the choicest blessings of Jupiter. Ideally your Yellow Sapphire/ Yellow Sapphire ring should have been consecrated and energized as per the full rites listed in the sacred texts. In cases, where a Vedic Consecration of the Yellow Sapphire is not possible it is best to chant any of the following mantras for 11/108 times and pray to Lord Jupiter before wearing your Yellow Sapphire ring / Yellow Sapphire Pendant. 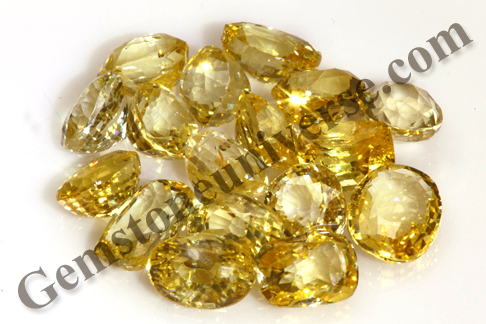 Gemstoneuniverse is pleased to present three new lots of Natural Yellow Sapphires for Planetary Gem Therapy. These Lots have been named as Ved- Pure like the word of God, Pushti- Blessings of Nourishment and Artha: Auspicious Wealth. – Cut from our own roughs so you can get unmatched price. Gemstone Certification and appraisal of these lots are complete and you can find them in the online Yellow Sapphire inventory in the next 3 weeks or earlier.